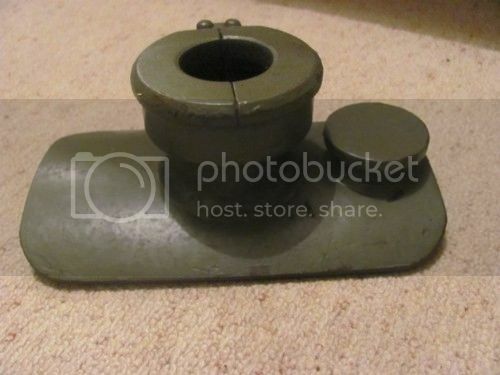 Amongst my 60mm Brandt mortar stuff i have this second baseplate. I was told it was one for use by the Airborne. I guess that due to its smaller size that is credible, although i have never seen a picture of one before. However, unless on a hard surface surely after a couple of shots the thing would be sinking into the ground. Has anybody come across one of these before? it is WW2 or later? Its the M1 base plate for the M19 60mm Mortar, a late war modification of the M2 60mm Mortar. The M19 was a trigger fired Mortar the M2 was drop fired. Possibly around in 1945 and onwards. When used with this baseplate it was not as Accurate.